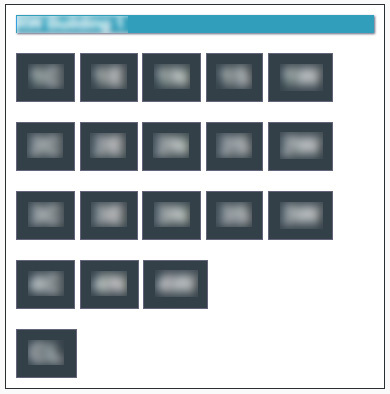 Please note: portions of the images on this page have been intentionally blurred to ensure security. Discover Mapp is the result of an internal hackathon held at Discover in 2014. Our challenge was to develop a mobile application that increased work efficiency, employee engagement, and productivity in a remote-working environment. Planning for the hackathon began two months after I joined the company, and one month after I moved to Discover's new open workspace environment. As a new employee with multiple business partners all over campus, and little to no set structure for building floorplans, I found it difficult to know where I was going and find the right people independently. At the kickoff event, I met a group of fellow new employees who were all discussing how difficult it was to get around campus. I pitched my idea to them: a map that would show you where your colleagues were located on campus, allow you to send your location to others, and put building maps in the palm of your hand. The final piece of Discover Mapp was an individual pitching the idea of leveraging the existing campus asset/location system to provide coordinates, and Discover Mapp was born. The annotated wireframes I created for the hackathon. Each hackathon team presented whatever their team's 24-hour outcome was to a panel of C-level executives at Discover. Of the five teams participating, our team was the only team that had a functioning prototype on an actual mobile device. We conservatively estimated that 4,000 employees in Illinois alone spend at least 5 minutes trying to find a colleague or a meeting room per day—approximately 333 hours and 20 minutes wasted per day. Not only did the executive panel pick our application to win, but our peers unanimously chose our app for the Hackers' Choice award. Winning the hackathon earned my team two weeks with Pivotal Labs to have our minimum viable product professionally developed. I collaborated with Chris Wilkinson to create the actual production version of Discover Mapp. As a co-product owner for the two weeks at Pivotal Labs, I spent most of my time paired with my colleague authoring stories and managing the delivery of our MVP. The design, therefore, is the result of Chris' execution paired with my leadership. 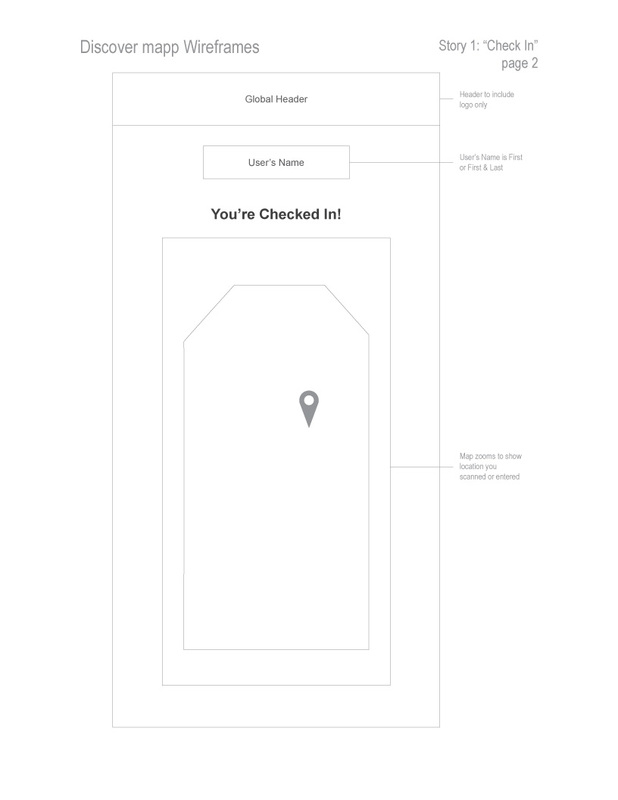 The map selection screen is a simple grid sorted by state, building, and then floors and other descriptors used in the Discover vernacular to help users select the proper area they're checking into or looking for. 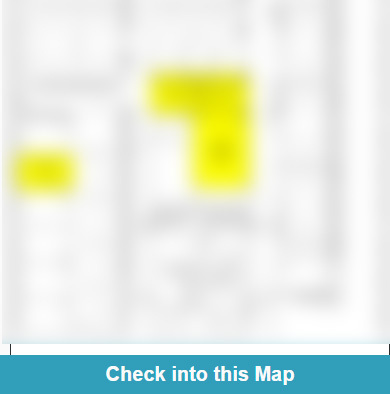 Meeting and huddle spaces are highlighted in yellow on the map. A user's location is indicated by a bouncing orange pin. Discover Mapp was launched in spring 2015 and is actively used, especially among employees in open working environments. Since it was created as a responsive web application, it can be used on employee's computers as well to find their way to a meeting before they leave. It's also been integrated as a shortcut in Discover's internal mobile application suite to give easy access to employees in transit. It has been expanded to include Discover facilities in three different states. Disclaimer: This web application is the intellectual property of Discover. It is represented here for the sole purpose of demonstrating the design, technical, and creative abilities of Patrick Puckett. Copyright is maintained by Discover.